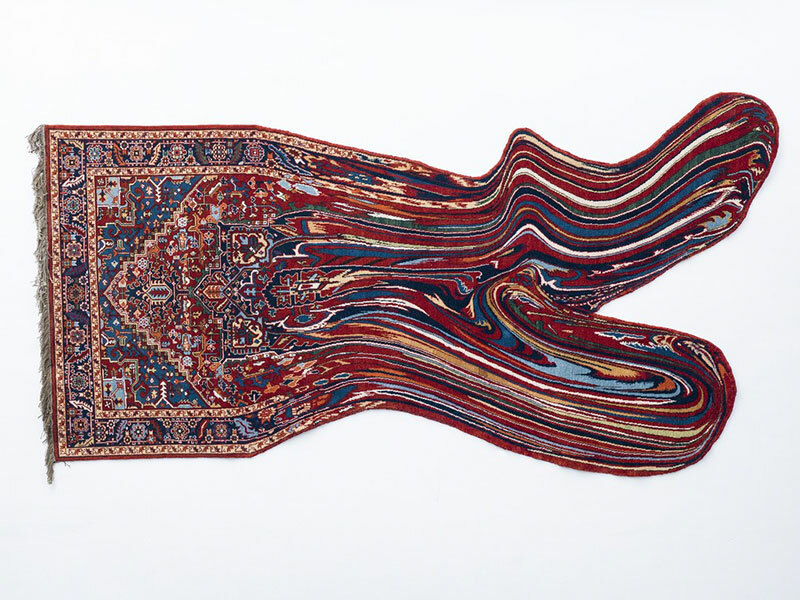 Azerbaijan-based conceptual artist Faig Ahmed utilizes traditional decorative craft and the visual language of carpets into contemporary sculptural works of art. 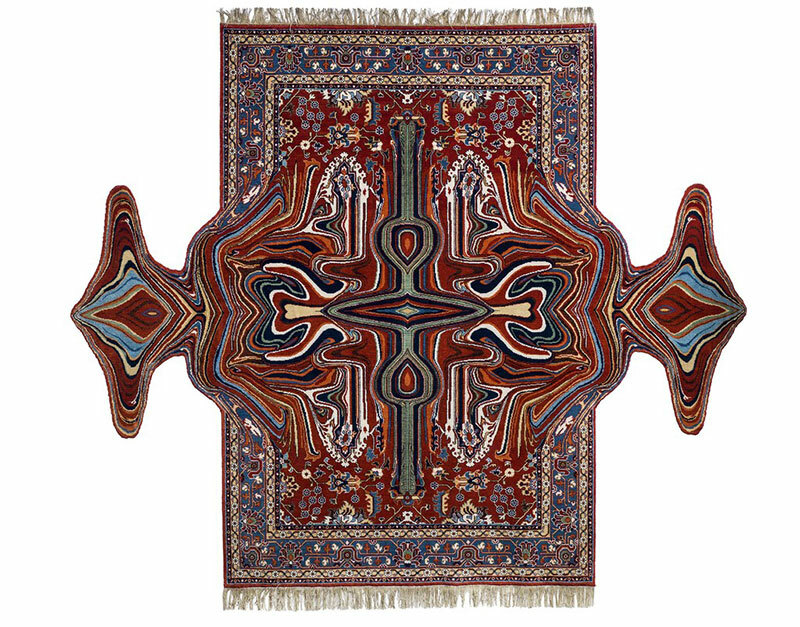 He experiments with traditional materials and colors, such as the rug weavings of Azerbaijan or Indian embroidery, while engaging the viewer through the unexpected marriage of crafts steeped in history with hyper-contemporary, digitally distorted images often in the form of pixelation, three-dimensional shapes and melting paint that alters the pattern on the rugs. 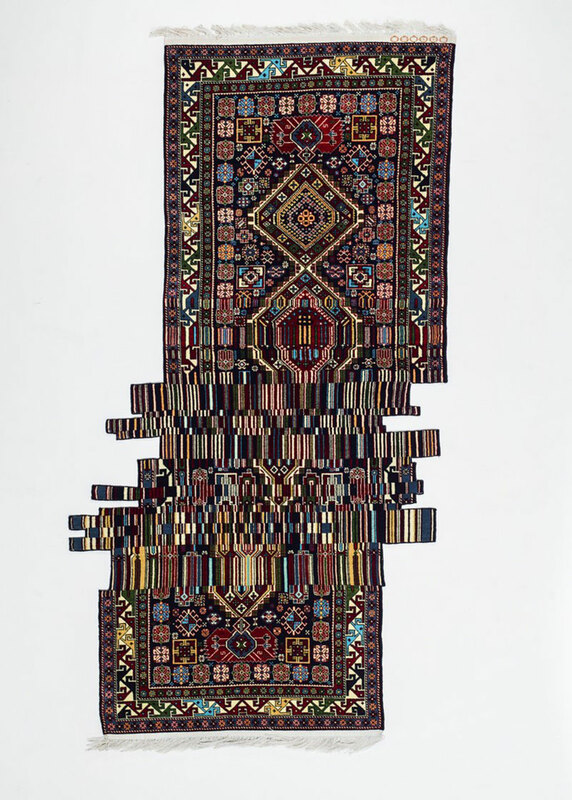 Ahmed employs computers to sketch his works and transfers his designs onto the carpets using traditional weaving techniques. 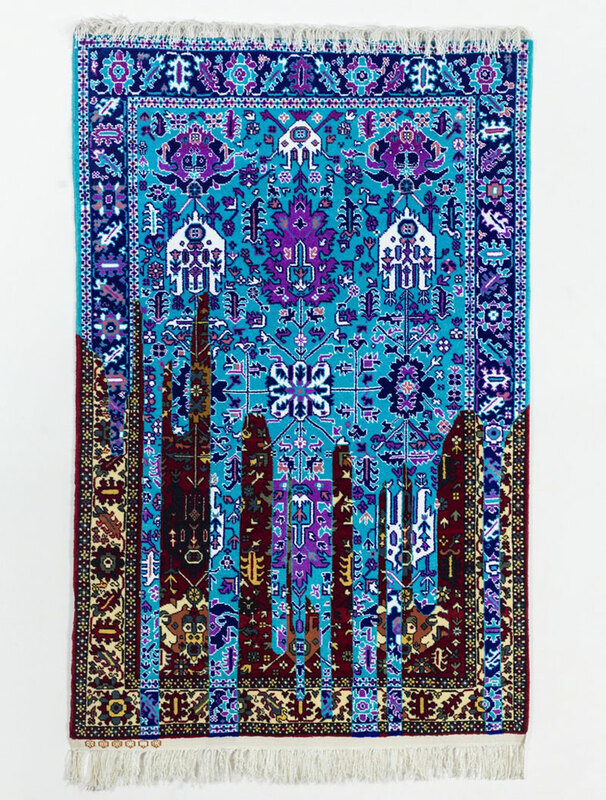 I explore ancient traditions, cults and cultures. 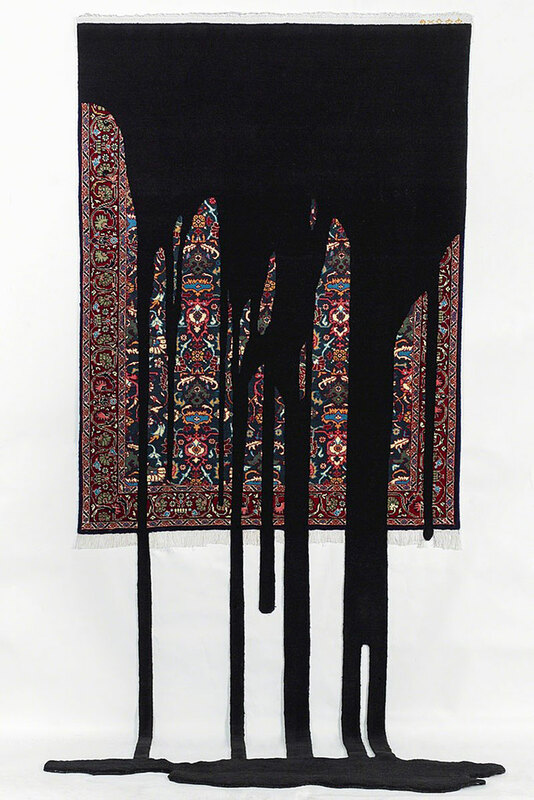 I make my own research and as I communicate with it, I create art. 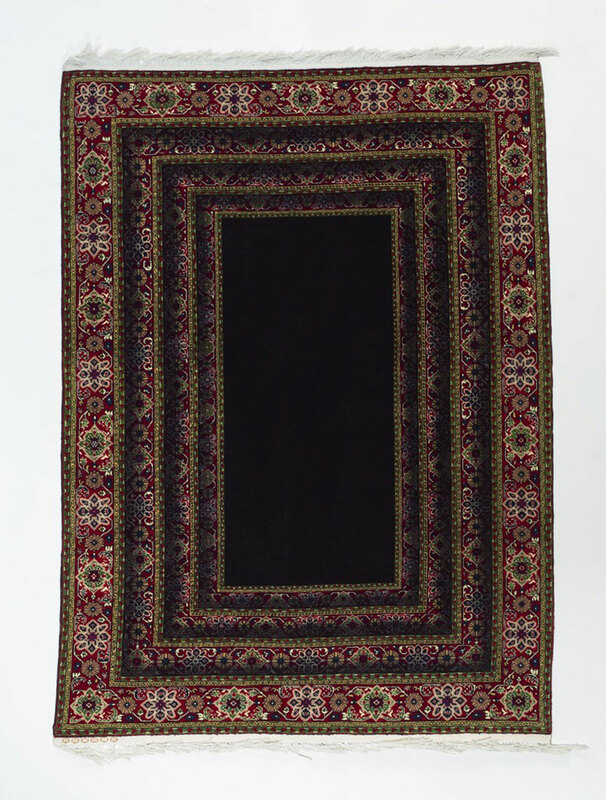 My carpets, installations and embroideries are the result of this interplay. 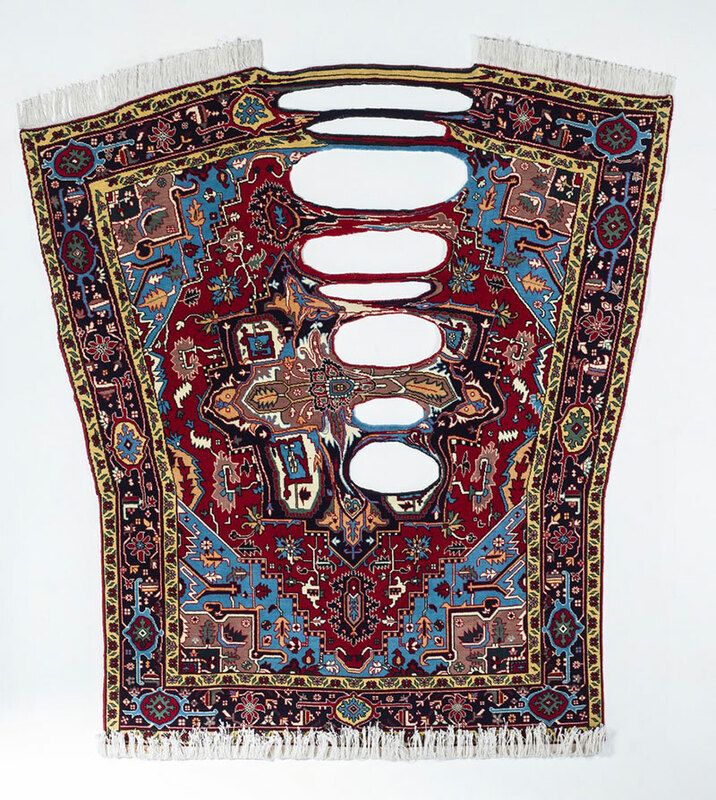 On view at Sapar Contemporary through January 25. 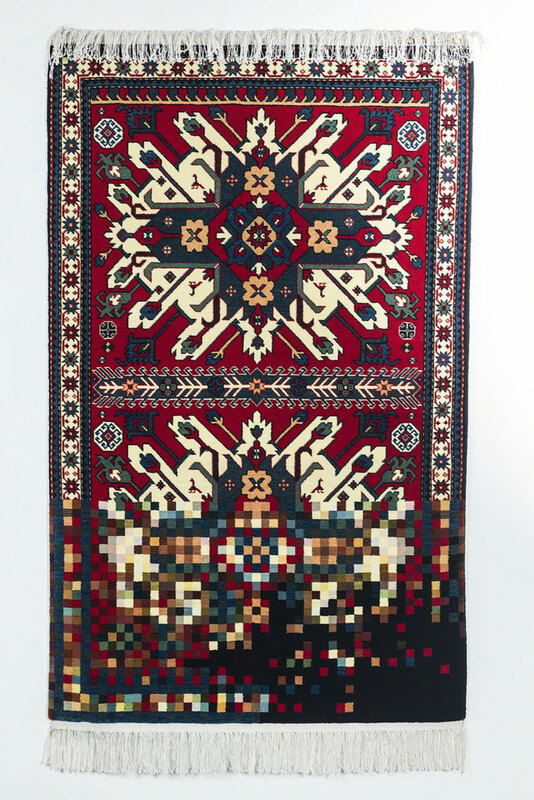 Azerbaijan-based conceptual artist Faig Ahmed utilizes traditional decorative craft and the visual language of carpets into contemporary sculptural works of art.